Wireless power chargers produce relatively high magnetic fields in the near field. 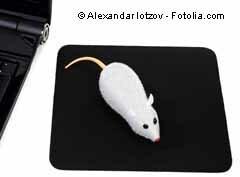 The German building biologists Virnich / Moldan investigated in late 2009 mousepads that supplied the overlying computer mouse with electricity. The mouse pad itself was connected by cable and a USB stick to the computer. The measured value was more than 20 micro Tesla (μT) at a distance of five centimeters. For health risk assessment is still required an additional information: while the mains frequency is 50 Hz current of our house, “worked” the mouse pad with a fundamental frequency of 122.7 kHz. In addition, the power generated mat harmonics up to 10 MHz. The ICNIRP reference value for whole body exposure is in the range of 3 to 150 kHz at 6.25 micro Tesla. The magnetic fields of the charging mat thus exceeded the benchmark of ICNIRP to three times. The professional association foresees only a “temporary” use for this case. Any connoisseur of modern professional practice knows that desk workers sit all day at the computer. Thought Consistently, the security officer of a company should not allow the use of wireless charging stations near the body. Wireless charging of smartphones in larger distances. The development of wireless chargers inspired many scientists. For example, researchers at MIT Massachusetts developed a new charger that can charge smartphones at a distance of thirty centimeters. The energy receiver must also occupy no special position as the mouse-pad. The phone should only be in the magnetic field. The new technology uses directed magnetic fields for this purpose. So far, the method was known only in the wireless technology: detected the router a device that wanted to connect with him, it strengthened the signal in the particular direction. Imagine the following situation itself: at each desk is a charging station and loads the terminals within thirty centimeters. The office worker sitting at worst all day in a strong magnetic field. Measurement results are not yet known to the author. However, the loading with alternating magnetic fields should be similar as in the power mats for the computer mouse. Asked provocatively: Is the effort for the direct plugging of the terminal wired to the mains really unreasonable? This rhetorical question, the health-conscious may answer easily.